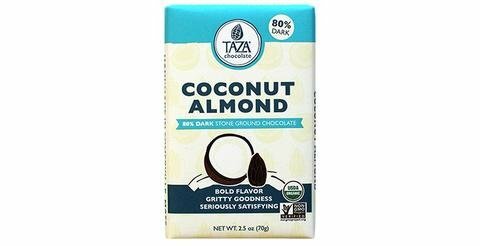 Our Amaze Bars take stone ground chocolate to another dimension by mixing incredible flavor combinations into our minimally processed, bold dark chocolate. 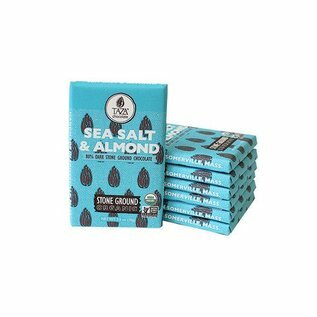 Sea Salt and Almond - Perfectly unrefined 80% dark stone ground organic chocolate with a crave-worthy combo of fresh roasted almonds and a sprinkle of sea salt. 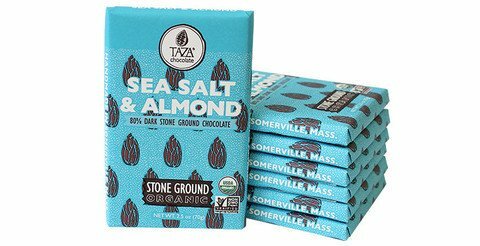 Amaze Bars take stone ground chocolate to another dimension by pairing incredible flavor experiences with our minimally processed, bold dark chocolate. 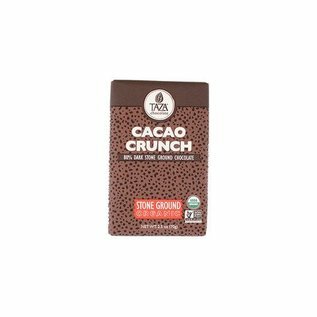 Cocoa Crunch - Perfectly unrefined 80% dark stone ground organic chocolate with the satisfying crunch of cacao nibs. 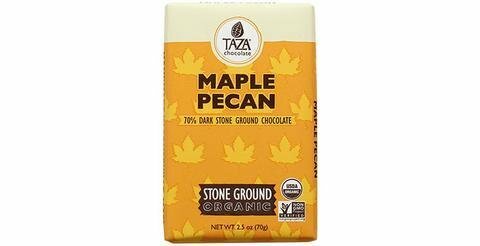 Amaze Bars take stone ground chocolate to another dimension by pairing incredible flavor experiences with our minimally processed, bold dark chocolate. 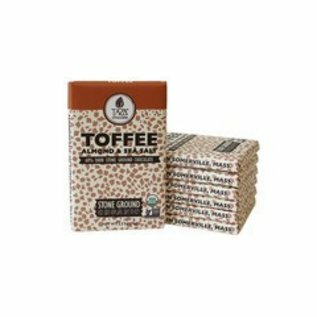 Toffee Almond and Sea Salt- Perfectly unrefined 60% dark stone ground organic chocolate with with a trifecta of tasty: toffee, almonds, and sea salt. 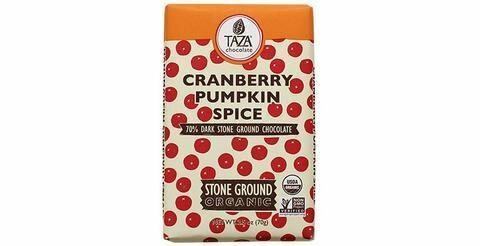 Amaze Bars take stone ground chocolate to another dimension by pairing incredible flavor experiences with our minimally processed, bold dark chocolate. 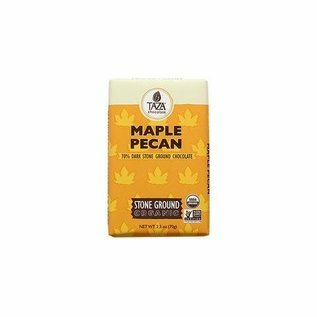 Maple Pecan - Maple Pecan, features fresh roasted pecans and a touch of maple paired with Taza's perfectly unrefined 70% dark chocolate. It will make chocolate lovers feel like they've been transported to a cozy cabin in the woods! 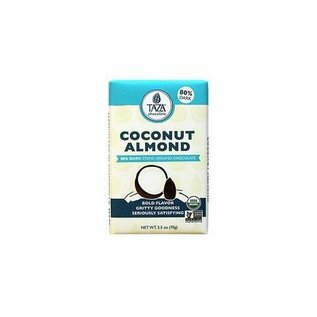 Coconut Almond - 80% dark stone ground chocolate blended with coconut and toasted almonds. 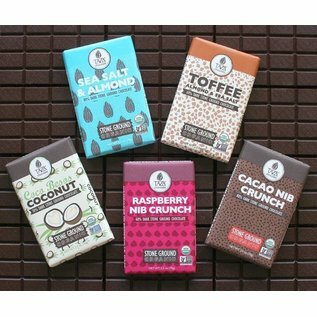 The perfect bar for a healthy indulgence! 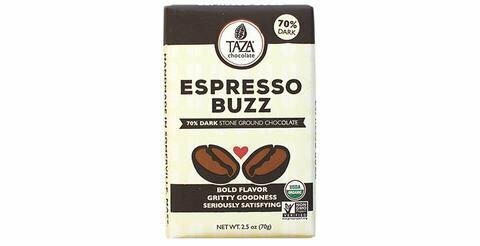 Espresso Buzz - Coffee and chocolate make a perfect pair in this stone ground 70% dark bar with a bold crunch of whole espresso beans. A delicious energy boost! 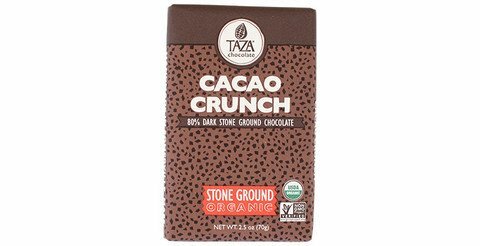 "Taza founder Alex Whitmore took his first bite of stone ground chocolate while traveling in Oaxaca, Mexico. He was so inspired by the rustic intensity that he decided to create a chocolate factory back home in Somerville, MA. Alex apprenticed under a molinero in Oaxaca to learn how to hand-carve granite mill stones to make a new kind of American chocolate that is simply crafted, but seriously good. 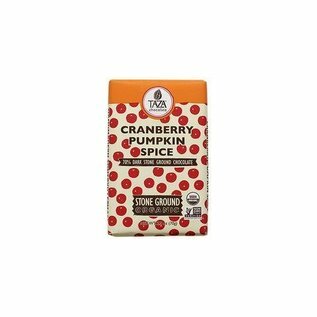 In 2005, he officially launched Taza with his wife, Kathleen Fulton, who is the Taza Brand Manager and designed all of the packaging. 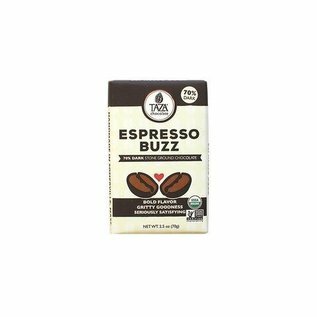 Taza is a pioneer in ethical cacao sourcing. We were the first U.S. chocolate maker to establish a third-party certified Direct Trade Cacao Certification program. We maintain direct relationships with our cacao farmers and pay a premium above the Fair Trade price for their cacao. We partner only with cacao producers who respect the rights of workers and the environment."